The Maryland based quintet Harmonic Blue plays a original and solid combination of jazz, folk, with touches of blues and the experimental grit of R&B. Exquisite both structurally and lyrically—the band has drawn some comparisons to music heavyweights such as: Dave Matthews Band, Alabama Shakes, Wilco and Steely Dan. 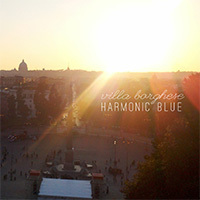 Harmonic Blue's debut EP entitled Villa Borghese is a memorable display of musical talent and poetic emotion. Songs like “Silver Spoon” lyrically play with the listeners feelings and emotions, searching for honesty in one's self. The track “Sturgeon Moon” eloquently unfolds with touches of soft guitar riffs, with a Steely Dan meets Kenny Wayne Shepard guitar solo. Simplistic drumming and beautiful lyrics weave perfectly throughout the song. Easy listening and great guitar work.